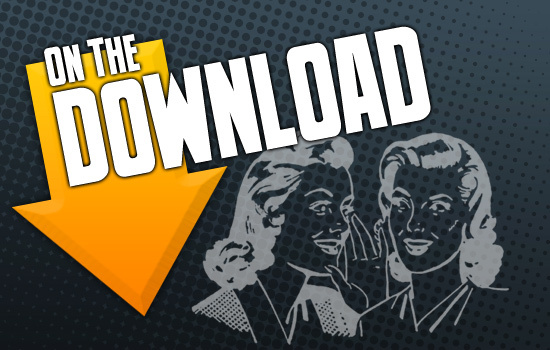 On the Download is a new feature from Co-Optimus that wants to get you in on the low down for downloadable games. The meat of this feature will cover an experience with a current co-op downloadable game or DLC for a co-op game that I've played recently with friends. With the amount of digitally distributed materials, I am always open to suggestions about what to try next. Then, I'll take a look at new or popular DLC or downloadable co-op games. Finally, for those that are on a tight spending budget, one or two free demos or game trials that feature some kind of co-op with a brief description of what kind of co-op experience to expect. Xbox LIVE Arcade, Playstation Network, Wii Ware and PC games will be taken into consideration for "On the Download." For my first try at this, I will forgo my co-op DLC/Downloadable game experience to ask for any suggestions, comments, or written tomatoes from the community. What do you find interesting, or like to know more about along the lines of co-op Downloadable games or DLC? Speak now, or forever hold your peace. Actually, that's a lie - I'm always open for suggestions, just comment or send an email. Now, on to the rest of the feature. 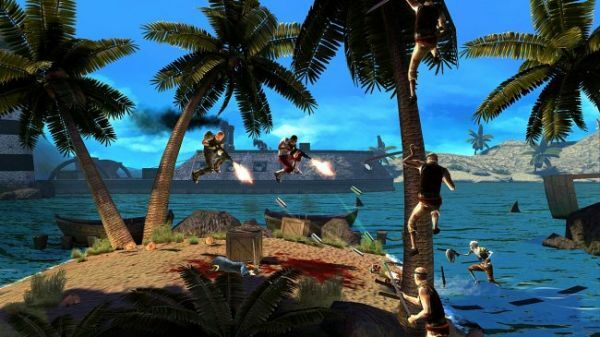 Recently, Serious Sam HD: First Encounter has joined the Xbox LIVE Arcade for 1200 after being a great co-op success on the PC. Also, Matt Hazard: Blood Bath And Beyond shoots its way to the Playstation Network for $15 and Xbox LIVE for 1200 in side-scrolling shooter, local co-op action. DLC we've been raving about: Mad Moxxi has taken over Borderlands in her DLC pack titled "Mad Moxxi's Underdome Riot", and we like it. A lot. PC, Playstation 3, and Xbox 360 Borderlands owners can all join in on Mad Moxxi's Underdome Riot priced at $9.99. Get your survival on, and try not to stare at our Underdome Queen, or she'll make you suffer. Actually, she'll probably do that anyway. Everybody tighten those spending belts, you're about to play a free trial of Matt Hazard: Blood Bath And Beyond on the Xbox LIVE Arcade or PSN. The Matt Hazard trial game is 2 player local shared screen co-op through a bit of the story mode. Shoot enemies, destroy your environment, and have a lot of fun in this side-scrolling shooter with your favorite local co-op partner. Since we seem to be in a trend of muscle heads shooting things, the classic shooter Doom's trial game will give you a taste of 4-player co-op splitscreen action. Shoot or punch as many rude, snarling, gross creatures as possible through an extensive trial level as one of four color-coded marines. Take a moment to enjoy this classic, it's good for you. Once you own an arcade game on Xbox LIVE, they won't let you try out the trial version to confirm co-op playability. So, if you have noticed any demo or game trial that features co-op that I haven't covered, let me know! Page created in 0.7228 seconds.